Irving Berlin is a tremendous role model for all of us. He started out as nobody from nowheresville—an immigrant from Czarist Russia who grew up penniless on the Lower East Side of New York City. But he worked as an office boy, then a song plugger, and eventually a songwriter for hire. And he wrote a lot of songs. Over 1500 published songs, with enormous hits like “God Bless America”, “White Christmas”, and “There’s No Business Like Show Business.” He was all about hustle. He developed at this time the work habits he would retain all of his life. After dinner Berlin would sit down at the piano and write songs until dawn. Since he had no formal musical training, he could only play the piano in one key. Once, a woman who met Berlin at a party exclaimed, ‘I guess there’s no one who has written as many hits as you have!’ He replied, ‘I know there’s no one who has written so many failures.’ Perhaps his childhood experiences — initially cruel, and then impoverished and challenging — taught him that good times and comfort could be fragile, temporary luxuries. You know who lost more games in his career than any other Major League Pitcher? Cy Young. If you create a lot you will fail a lot. You also will succeed a few times. Most of us have to be disciplined in order to crank out serviceable, professional, but not breathtaking content. But if you’re diligent, you can get lucky a few times. I like to think of this as “expanding the luck surface area.” If you create a lot and get your work seen by lots of people, it’s much more likely that something good is going to happen. Creating one flawless post is not the point. It’s about creating 100 good posts and sending them out into the world. You’re much more likely to hit a home run if you get up to bat more. Berlin could not read music. He consequently would work out all of the details of the song in his head, and then sing and play it for his musical transcriber who would then write it down, playing it back to Berlin until it was right. He didn’t have to know how to do everything—he focused on writing something good, and then let other people help him to turn it into something that suited what the market needed. He needed someone to transcribe the tune into the sheet music—you might need someone to shoot a video based on your blog post. It’s OK to have partners. It’s not OK to avoid creating content. Irving Berlin was not afraid to write something that wasn’t perfect, and you shouldn’t be afraid either. It’s a very noisy world, and you’re crazy if you think that every piece of content you write will be cherished and pored over under a jeweler’s loupe. Most of what you write will be ignored. But that’s no excuse for not trying. If you don’t create, you won’t be noticed. At all. If you’re diligent, you will probably get there. Maybe they won’t be singing your song at every Major League Baseball game, but you will be in the conversation. Irving Berlin had the guts to keep on creating. You should too. 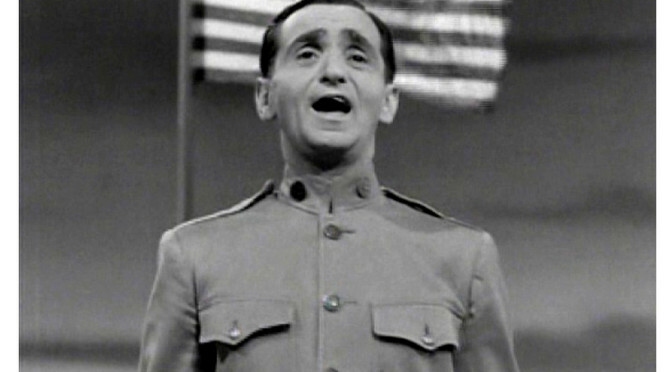 Listen to this Irving Berlin playlist and see what’s possible when you put in the hours.